It all starts this week in Orlando, FL! Mark your calendars and get ready for another great season of wake. 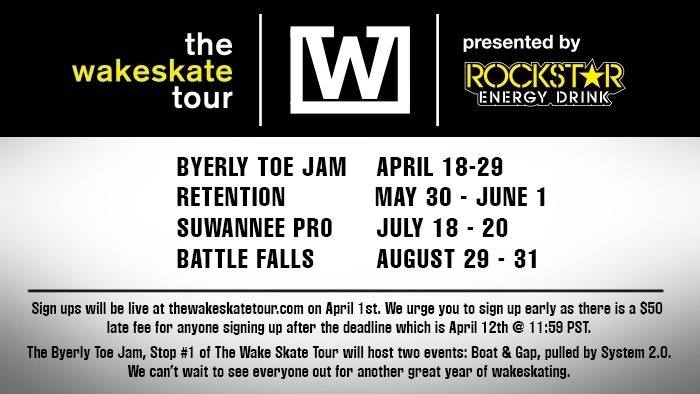 More info at http://www.thewakeskatetour.com.